The Ponseti Method is considered the gold standard of care when treating clubfoot. Most doctors will begin the casting process when your baby is around two or three weeks old. If you cannot get started that soon, don’t worry -- it is much better to get quality care than to rush into the process. However, many believe it is easier to start sooner rather than later. An orthopedic surgeon will use a specialized casting technique to slowly turn your baby’s feet from pointing in to turning out. Note that this is a hugely important part of the treatment. You will want to do your research to ensure you are getting a highly skilled surgeon who has lots of experience and who will strictly follow the Ponseti method. For the complete clinical guidelines of the Ponseti Method, click here. It’s smart to line up your orthopedic surgeon while you’re still pregnant. Ask lots of questions before selecting a doctor – do not just choose whoever is geographically closest. The casting phase is critically important, and having a skilled doctor can set you up for success. Conversely, an inexperienced or unskilled doctor can cause your child’s foot to become complex, which will require highly specialized treatment. One of your best resources in finding the best surgeon is Facebook. 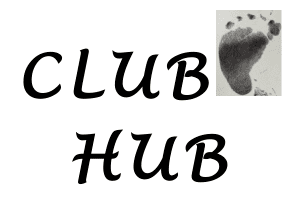 Join these two Facebook groups – Clubfoot Mommas and Clubfoot is Treatable – and the helpful, supportive members will be able to point you in the right direction. The parents in this group are responsible for the majority of my clubfoot knowledge. Each state in the USA also has its own Facebook page, so you'll want to join that group (search "clubfoot" & your state name) for guidance in selecting a doctor. The casting portion of the Ponseti method is an intensive process, where a new cast will be applied each week for several weeks, depending on the severity of the clubfoot and how your baby responds to treatment. If your baby needs a tenotomy (approximately 80 percent of clubfoot babies do), the doctor will perform that surgery and then leave the final cast on for at least three weeks. Immediately after the final cast is removed, your baby will move on to the Boots & Bar (B&B) stage. He or she will wear a special snowboard-like contraption (two boots connected by a bar) 23 hours a day for the first three months. Then, if his or her doctor gives the go-ahead, that time will gradually be reduced until your child is only wearing the B&B at night. Nighttime wear will likely continue until age 4-5, depending on the plan you and your doctor devise.